NextLight Archives · Stop the Cap! It’s an acute case of broadband envy. Residents of Fort Collins, Colo., that have an excuse to take an hour’s drive south on U.S. Route 87 to visit Longmont and experience the Internet over the community’s public broadband service can’t believe their eyes. It’s so fast… and cheap. Back home it is a choice between Comcast and CenturyLink, and neither will win any popularity contests. While large parts of Colorado have gotten some upgrades out of Comcast, Fort Collins is one of the communities that typically gets the cable company’s attention last. The city of Longmont took control of its digital destiny after years of anemic and expensive service from Comcast and CenturyLink. Longmont Power & Communications’ NextLight Internet service delivers gigabit fiber to the home service to the community of 90,000. The service was funded with a $40.3 million bond the city issued in 2014, to be paid back by NextLight customers, not taxpayers, over time. It remains a work in progress, but is expected to start construction to reach the last parts of Longmont by next spring. NextLight delivers a mortal blow to competitors by charging a fair price for fast service. Instead of spending to upgrade their networks to compete, the incumbents demagogued the public project and Comcast spent $300,000 of its subscribers’ money in a campaign to kill the service before it even got started. Perhaps they had a right to be worried considering NextLight customers pay $49.95 a month for unlimited 1,000/1,000Mbps service. NextLight offers 20 times the download speed and 100 times the upload speed of Comcast’s Blast! package for nearly $30 less a month. After NextLight was rated America’s fastest performing Internet service by Ookla in May, residents in Fort Collins began to wonder why they were still putting up with poor service from Comcast and lousy DSL from CenturyLink. 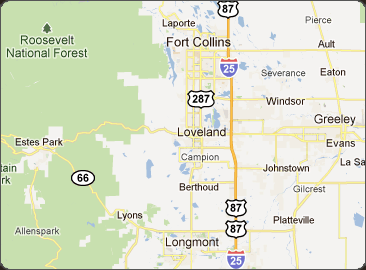 Fort Collins is about a one hour, fifteen minute drive north of Denver. At the same time, city officials were doing their best to leverage some modest improvements from Comcast in return for a renewed franchise agreement. All they got was a vague commitment permitting the city to monitor Comcast’s notorious customer service and two HD channels set aside for Public, Educational, and Government use, along with a $20,000 grant to help the public access channel with online streaming. The Coloradoan urged Fort Collins officials to think big and establish public fiber optic broadband in the city. To manage this, they will have to overcome a 2005 state law backed by Comcast and Qwest (now CenturyLink) that bans municipal telecommunications services. A local vote or federal waiver can sidestep a law that was always designed to restrict competition and make life easier for the two telecom giants. The newspaper opines that Fort Collins is in no way ready for the digital economy of the 21st century relying on Comcast and CenturyLink. The cable company’s attention is focused on bigger cities in the state and CenturyLink remains hobbled by its copper legacy infrastructure. While some upgrades have been forthcoming, both Comcast and CenturyLink are also testing usage caps or usage-based billing — just another way to raise the price of the service. And speaking of service, neither Comcast or CenturyLink are answerable to the communities they serve – a community owned broadband alternative would be. We’ve got to lay the groundwork now. Society took huge steps forward when automobiles replaced the horse and carriage. And no, installing municipal broadband isn’t adopting a new mode of transportation, but it is symbolic of laying an entirely new road. Look at it another way. The city provides needed services such as water and electricity. Internet access is a needed service. One thing Fort Collins doesn’t absolutely need Comcast or CenturyLink. But nobody is asking them to leave. They have a choice to use their massive buying power and resources to upgrade their networks to compete. But Fort Collins residents should not have to wait for that day to come when there is a better alternative in their grasp today: public broadband.